The Remo Diplomat Hazy Snare Side is a very thin resonant snare drum head, giving excellent clarity and responsiveness to each snare stroke. Made with a single ply of 2mil hazy film, the Remo Diplomat Hazy Snare Side is slightly thinner than more common 3mil resonant snare heads (e.g. the Ambassador Hazy Snare Side or Evans 300). The very thin singly ply of the Diplomat Hazy Snare Side allows for very good clarity and definition. This resonant drumhead will add extra responsiveness to each snare hit, giving a crisp definition to your snare drum sound. Softer articulations will stand out, making the Diplomat Hazy Snare Side an excellent choice if you play a lot of ghost notes and lighter snare work. 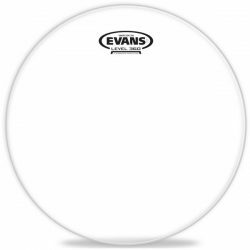 This resonant drumhead is very responsive with drumsticks, but it really stands out with brushes… The thin single ply allows the snare wires to easily react to even the lightest of brush strokes. The “hazy” film is semi-translucent, giving this resonant drumhead a nice look and adding a tiny boost to the warmer end of the sound spectrum. The added warmth gives more balance to the overall sound, something that is welcome with a very thin resonant head. For comparison, the clear 2mil Evans 200 snare side head has a slightly brighter sound. The Remo Diplomat Hazy Snare Side also provides a good amount of sustain, allowing for a nice open tone to each snare stroke. This resonant head is perfectly suited to low or medium volume music styles, or for capturing sensitive snare work in the studio. Note that the Diplomat Hazy Snare Side may not give enough volume for louder music styles (especially if played without a microphone). Using a 2mil resonant snare head gives more snare wire sound (the snare “snap”), and reduces the drum sound (the sound of the wood/metal). Overall this gives more snare clarity, but slightly reduces the drum’s volume. Note: This is a resonant snare drum head, designed to be used on the resonant side (bottom) of the snare drum. Do not use this as a batter (top) head, as it will damage very easily due to the very thin ply. Note: A 2mil resonant snare drum head might not provide enough volume to really cut through in very loud situations. 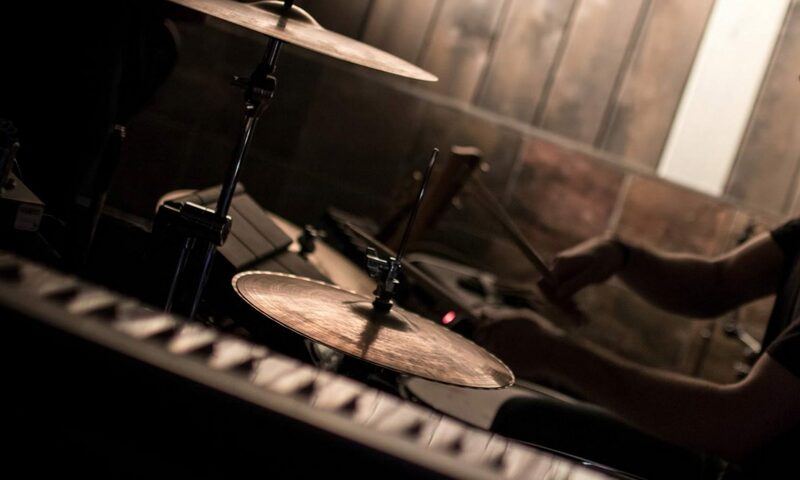 If you’re choosing this head for its sensitivity, use a microphone on the snare when playing high volume music. Otherwise take a look at a thicker snare side head to add more volume to your snare sound. 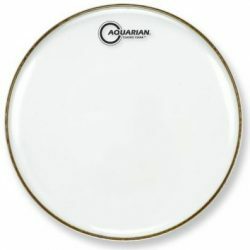 For low and medium volumes, a 2mil resonant snare drum head will give excellent clarity to lighter strokes. 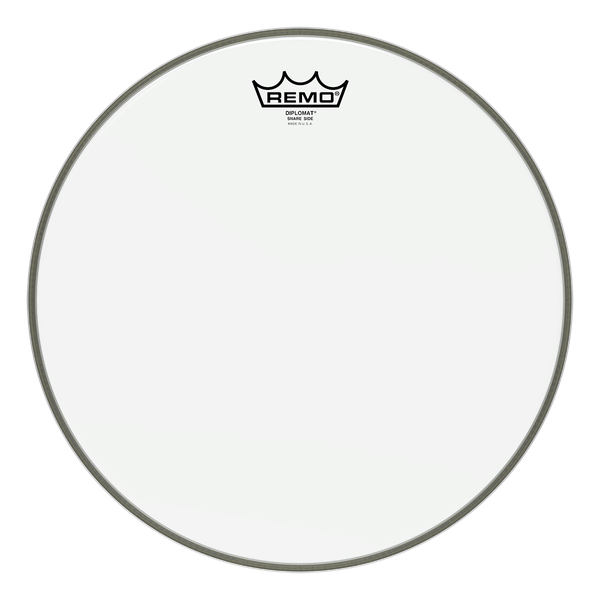 Note: The Remo Diplomat Snare Side is not the same as the regular Remo Diplomat. The Diplomat Snare Side is much thinner, and is designed to be used as a resonant drumhead only. The regular Diplomat is a 7.5mil drumhead, unsuitable for use as a resonant snare drumhead. The regular 7.5mil Diplomat can be used as either a batter or resonant head on other drums. If you don’t know what any of this stuff means, head over to the Drum Sound FAQ! 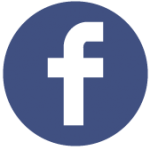 Tip: Want to learn more about resonant snare side heads? Check out our huge article on everything you need to know about resonant snare side drumheads, which covers all of the important stuff. Get your head around resonant snare side heads.